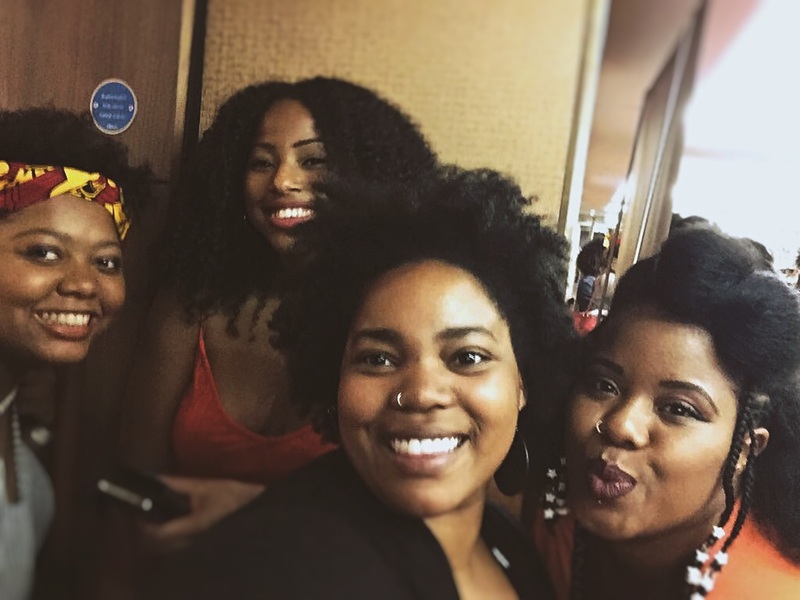 Curly Treats Festival (formally Natural Hair Week) Is a celebration of natural hair. As I have never been to an event like this I really didn’t know what to expect other lots of hair, lots of brands and hella melanin. 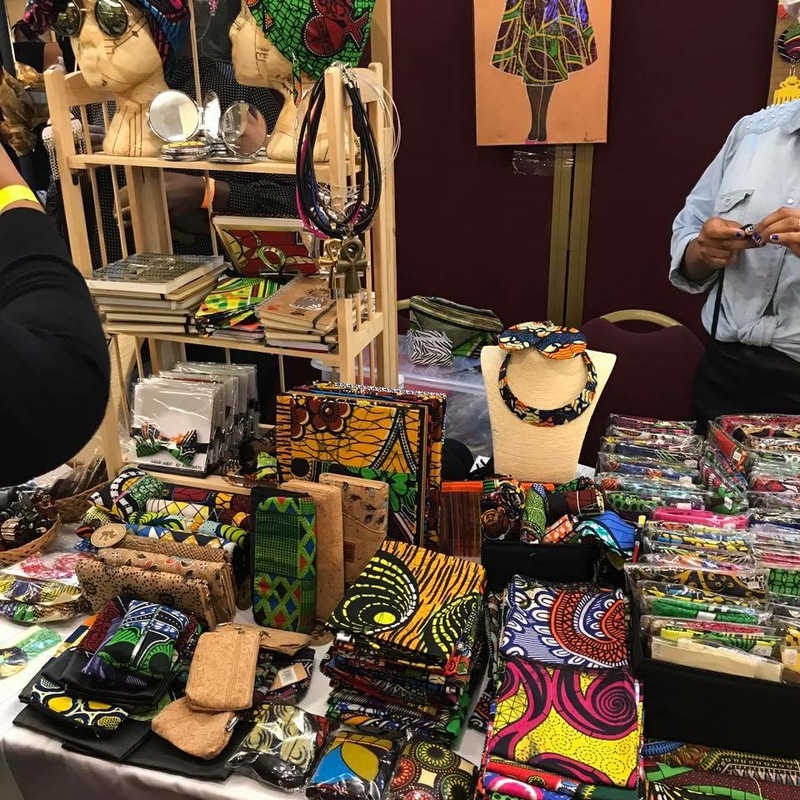 As I expected the rooms were full of hair of all textures, the melanin was poppin’ and black business owners were in their element. ~ I got my Curly Treats Festival ticket through Ronke Lawal founder of Ariatu PR, who had my name added to the press list. Me and Shahira (AfroGlory) went with the flow and had a look through all the stalls. We both only signed up for the ‘Make Your Own Natural Hair Products workshop’. So we spent most of the day shopping and discovering new brands. Only a few minutes into the event and we managed to pick up a soap sample from My Naturals by odOrganics and secured a seat to watch the premier of ‘Back to Natural‘ a short documentary selected by British Urban Film Festival (BUFF). I didn’t prepare myself for the mass amount of discounts and offers that would be going on at this event. Everyone was so helpful, it was so easy to start up a conversation with everyone. Events like these allows people to be creative and expressive. I loved admiring the different hair styles, so I had to capture Marlene‘s purple look. Marlene owns a salon, definitely check out her and her stylists skills on Instagram – @NaturalGloe. Loved the clothes and earrings Dee Naturals had on display. I bought her ‘Love Self’ hoodie 😍, as summer has officially given up on us I think a cosy hoodie is a great purchase. 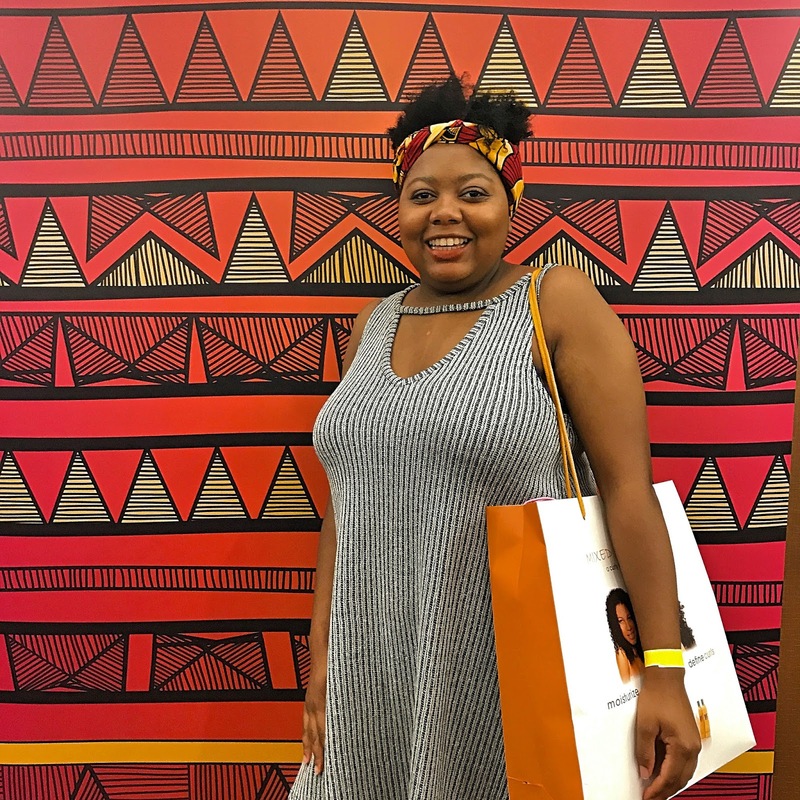 We spoke to the event manager Sian, who gave us an insight into organising events like this, plus the struggles that come with organising an event with a focus on blackness. As I’ve seen a rise in black focused events, I thought the discrimination had settled. Obviously I was wrong, but it just confirmed how important it is to have these events and the need to continue creating safe spaces for black people to enjoy themselves and everything that our culture has to offer. 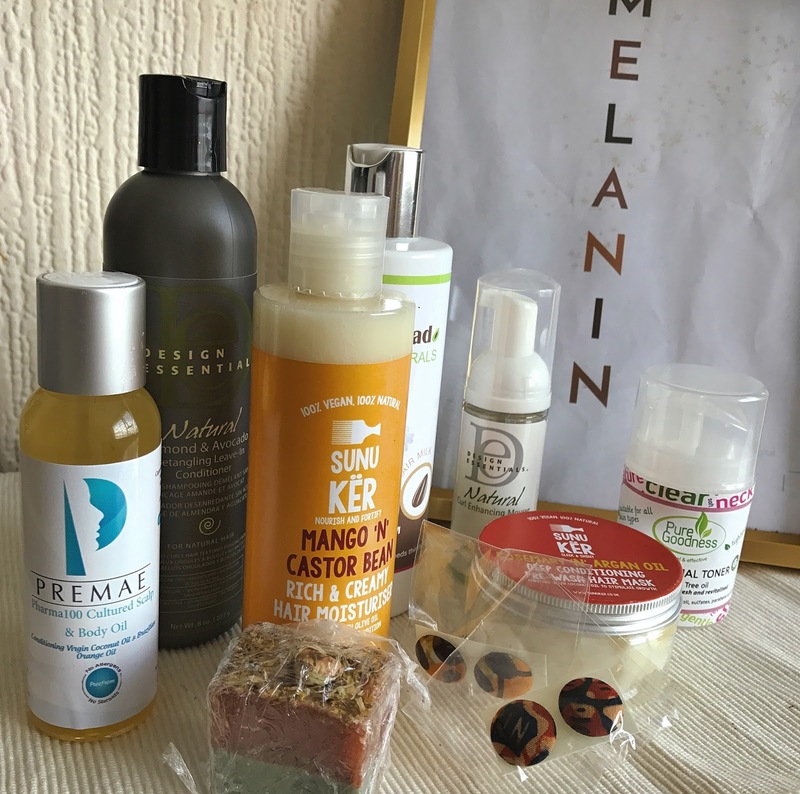 It would be impossible for me to see Aicha’s Sunukër stall and not buy anything, so I got her Mango ‘n’ Castor Bean Hair Moisturiser. I’m interested to see how this moisturiser works with my hair. I have so many new hair care products, I don’t know what to try first. Loved how pretty this stall was, packed full of dainty silver jewellery. Curly Treats Festival is a great opportunity for bloggers of all sizes. Business owners had a genuine interested in the fact that me and Shahira are bloggers. I think events like these allow content creators to network, build relationships and begin the journey towards collaborations. However I do not suggest asking for freebies straight away, support the businesses by buying something see how you get on with that, then approach the business owner.If the natural hair, beauty and/or black owned businesses scene is for you then I’d definitely recommend attending events like this. Constantly learning about natural hair care, It’s definitely a journey that takes time. Every time I learn something new I feel the need to share my new found knowledge with others. Most of my hair care knowledge comes from other bloggers. My hair would not be flourishing right now without knowing about the L.C.O method. Getting involved in the product making workshop made me realise the importance of water. 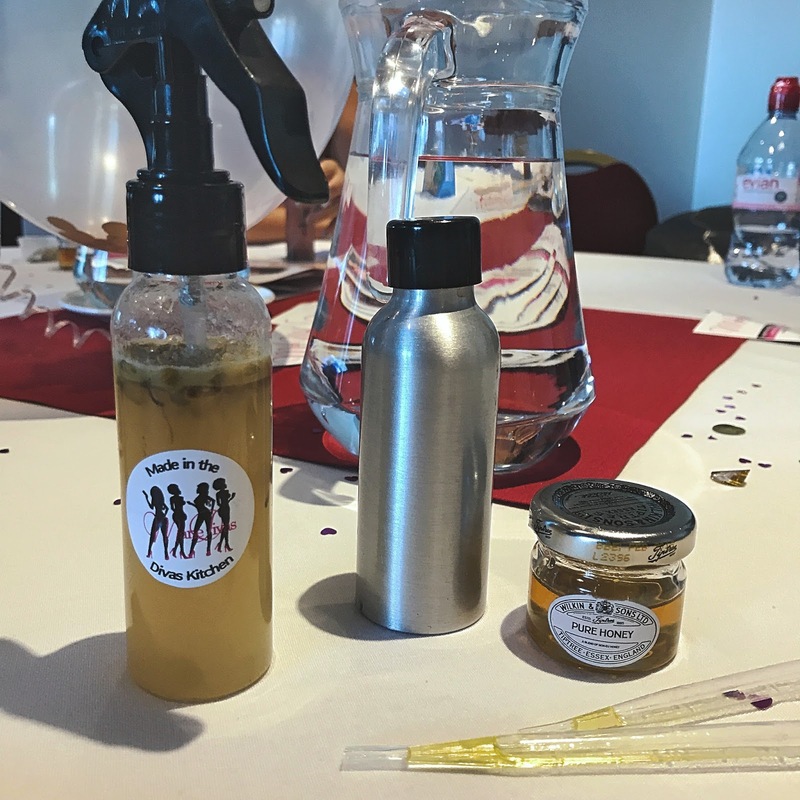 Trina the founder of Mane Divas opened the workshop with an introduction to the importance of using water as part of our natural hair care routine. Trina suggested using water every day, which is where the L.O.C/L.C.O method comes into play. Water is a major key as it’s the only way to get moisture into your hair, which might be obvious to some but it didn’t click for me until Trina explained it (one of those “Oh yeah” moments). My spritz contains ingredients I haven’t used in my hair before. Chamomile as it fights dandruff, promotes hair growth, minimises split ends and nourishes hair. Tea tree (essential oil) has anti-fungal and antibacterial properties and stimulates the hair follicles which is linked to promoting hair growth. Olive oil i already know my hair loves olive oil, so I stuck with it. Olive oil is a great nourishing, conditioning oil, that also improves hair elasticity. Honey replenishes moisture and helps fuse vitamins and minerals into your hair strands. Green tea contains loads of vitamins (B5, C, D & E) increases blood flow, reduces shedding and stimulates the hair follicles.